OUTER MATERIAL Upper section made of windproof, waterproof and breathable HESTRA Flextron polyamide fabric. Proofed goat leather on palm. 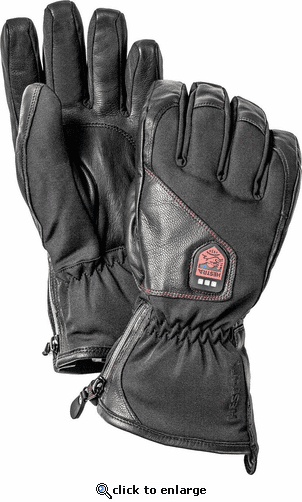 I bought a pair of these gloves for myself a few years ago and they were fantastic so I bought a pair for my husband. The design has changed a little (not for the best, in our opinion, see Cons below) but the gloves still ensure lovely warm hands - and it has been VERY cold at Perisher in Oz this year. ProsWarm hands! Easy to charge! Real conversation starters on the lifts! Safety bands are great and very comfortable. ConsMy original gloves were quite a bit wider at the entry point than my husband's gloves making them much easier to put on and take off. They had a velcro band to snug them tight and once they were on making it much easier to then place them inside the sleeve of my jacket and snug it down over the gloves. My husband cannot do this easily with his gloves so is wearing them outside his jacket sleeve which is OK when there is no snow or rain falling but it will allow moisture to channel in on bad days. The gloves look well made. I did hook up the battery them to make sure they worked as I plan on storing them until next ski season. 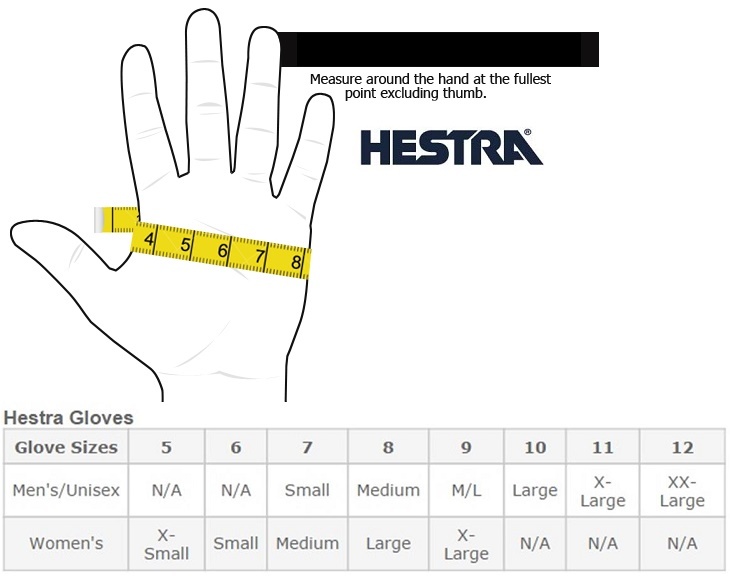 I agree with other reviewers that the wrist is snug making it difficult to put the gloves on. I also like the temperature control/on-off button access. It is right on top of the glove and easily adjusted with gloves on. These gloves are the best I have ever had at keeping my hands warm on sub zero skiing conditions. However, I felt they were really tight on the wrists and I couldn't zip them up. Might be due to the 2 batteries in the wrist area of the gloves. I did not have to wear glove liners which was nice. Very good quality. Battery lasted longer on the low or medium setting - only lasted 4 hours on the high setting. ConsFit around wrist was very tight.